Mercury founded in 1945 in Chicago and it was not just another indepent label. The two jazz fanatics who started it, made it a big enterprise from the beginning, with two large-scale pressing plants and a roster, initially in Rhythm & Blues only, with the great names on it. Soon they expanded their interest to pop and in the early fifties they embraced the new microgroove long-playing format with what still is regarded as the best classical recordings of the era. 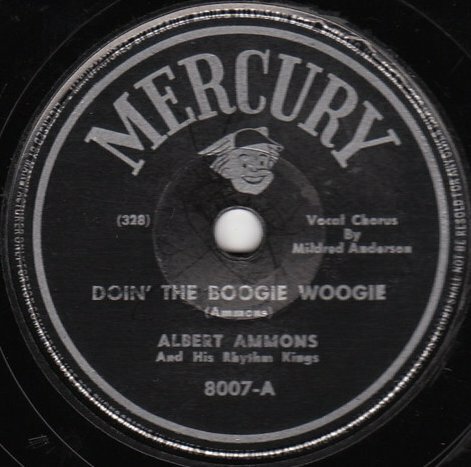 But on this show, we're interested in the Rhythm & Blues and Mercury started with great names, such as Dinah Washington, Jay McShann, Albert Ammons and Julia Lee.